The political crisis erupting in Italy could bring renewed market scrutiny to the country, according to Citi analysts. The biggest problem facing Italy in the short-term is the government of Prime Minister Silvio Berlusconi, which now looks certain to collapse, in the wake of a series of personal scandals. The problem is, according to Citi, there is no clear successor to Berlusconi capable of governing Italy. But that’s just the beginning of Italy’s problems. Citi lists off a slew of difficulties facing the troubled member of the PIIGS. Those fighting to be Italy’s next Prime Minister are under investigation for consumption. Demographic problems centered around a rapidly ageing population. A weak southern half of the country, with weak infrastructure overall. But the biggest problem facing Italy is its massive debt to GDP ratio. And now, distracted by Berlusconi’s personal scandals, there is a lack of focus on the structural reforms necessary to keep the state afloat. While they can’t see any clear Italian candidate for Berlsuconi’s job (besides maybe finance minister Giulio Tremonti), Citigroup economists have another pick. 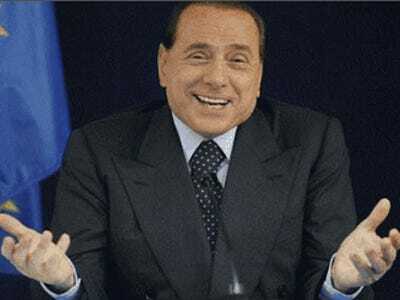 In conclusion, we fear that whereas Italy is currently experiencing the Decline of Berlusconi’s Roman Empire, the process might be painfully slow and long. And Chaos is the most likely scenario, after the fall. And this would hardly be the best scenario for equity investors. How can Italy get out of this mess? Voting Ms. Angela Merkel as the next Italian Prime Minister would probably be a step in the right direction.